Though the pool at my apartment complex won't be open for the season until tomorrow evening, this weekend was definitely warm enough for a swim. So, of course, It put me in the mood to look for some spinsterly swimsuits. While there are plenty of wetsuits, rash guards, tankinis, and high-waisted bikini bottoms out there, I think I shall save that for another time. 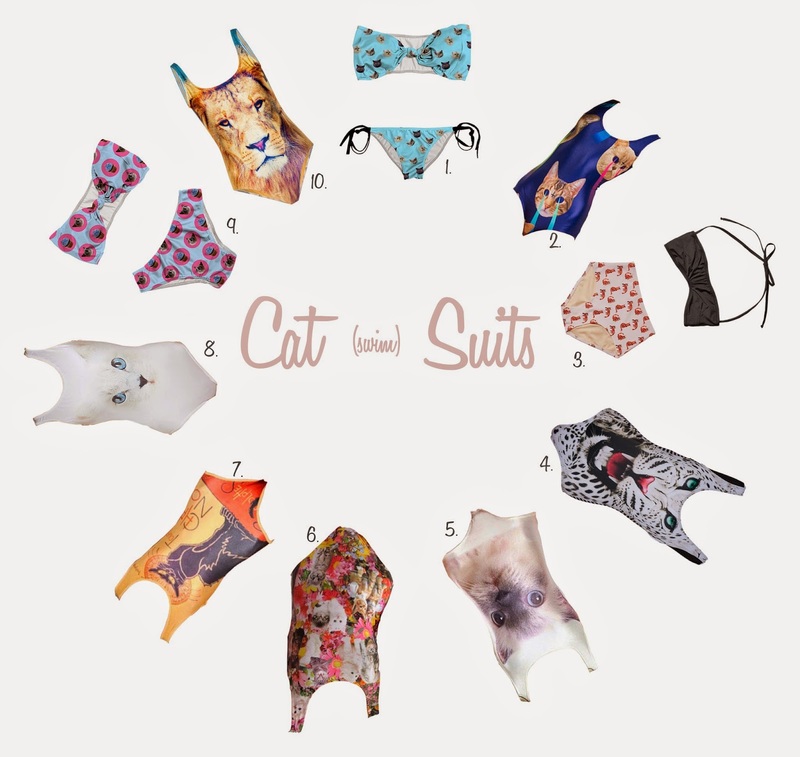 No, today's spinsterly swimwear is devoted to the joy of cats. I tried to find all domestic house cats, but some had to be wild animals. I think this is probably fitting, though, since there are many, many different kinds of spinsters. So, below, find a list of where you can find these delicious cat suits for spinstering this summer whether it be by the pool, on the beach, in the sprinklers, or just under your clothes like Liz Lemon. Hopefully this has given you something to think about when you imagine your spinsterly summer. Enjoy, and Happy Monday!